How to deal with difficult tenants is a question we often hear. If you’ve got disrespectful tenants, the problem can spread through your apartment building, causing rancor with other renters. Get tips on how to handle disrespectful tenants and use your landlord tenant agreement to protect your property and your other renters’ peace of mind. When someone complains about a neighbor, gather facts and try to remain objective. 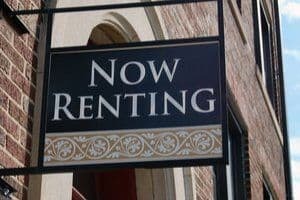 If other tenants have documentation of the offense (say, videos of a tenant throwing a loud party), then you have more of a case against the renter than word of mouth. Even a written log stating dates, times and issues can bear weight, since tenants are often unaware how their behavior affects others in the building. If the complaints arise from the same aggrieved neighbor, it could signal that your apartments need more soundproofing. By installing carpet in apartments, you can reduce the amount of noise that carries and maintain harmony. When complaints rack up, it’s smart to step in, especially if different parties have complained. Before talking to your renter, check your lease for provisions related to noise. If the tenant signed a lease promising to comply with quiet hours, there’s more weight behind your request to change behaviors. Your municipal noise ordinance may be applicable here, too. If the lease doesn’t enforce noise regulations, brainstorm ways to avoid the problem going forward. Respectful tenants should want to maintain harmony in their home, and may not mind altering their behavior for their neighbors. Using the example of the loud party, perhaps going forward, parties can follow quiet hours out of respect to others. Or perhaps tenants can give 48-hour notice to all other renters, so tenants who don’t want to be disturbed can make other plans for the evening. There’s no one-size-fits-all solution. Approach the problem with a willingness to find a way forward. If there’s something you can do to fix complaint issues — such as installing carpets — follow through. Quiet Hours: Reduce noise complaints by mandating quiet hours, for instance from 11:00 p.m. to 7:00 a.m.
Quiet Enjoyment: A quiet enjoyment clause allows tenants “quiet enjoyment” of their unit, while preserving the right of others not to be disturbed by noise. Consequences for Violation: Give your lease “teeth” by inserting a consequence for violation, such as a $100 fine for the first offense or eviction after three offenses. To get a customizable landlord tenant agreement template that protects your interest and your tenants’ rights, become an American Apartment Owners Association member today.